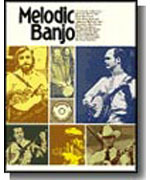 A complete instruction guide to "Keith style" banjo technique. Over thirty tunes and songs by Bill Keith, Eric Weissberg, Alan Munde, Bobby Thompson, Vic Jordan and others. With interviews and personal descriptions of their playing styles.